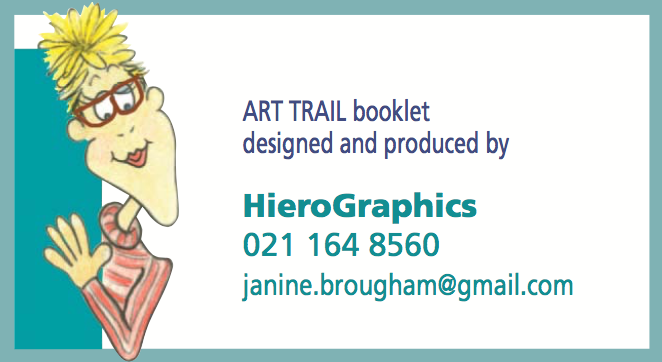 A full colour map and catalogue of Art Trail open studios is available for $10, at the venues listed above. 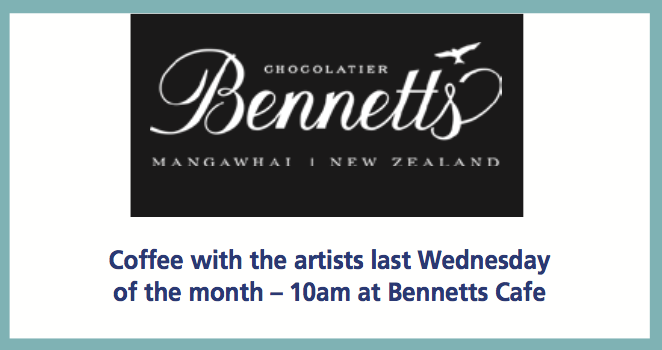 Also visit Scarlet Art Gallery above Bennetts. 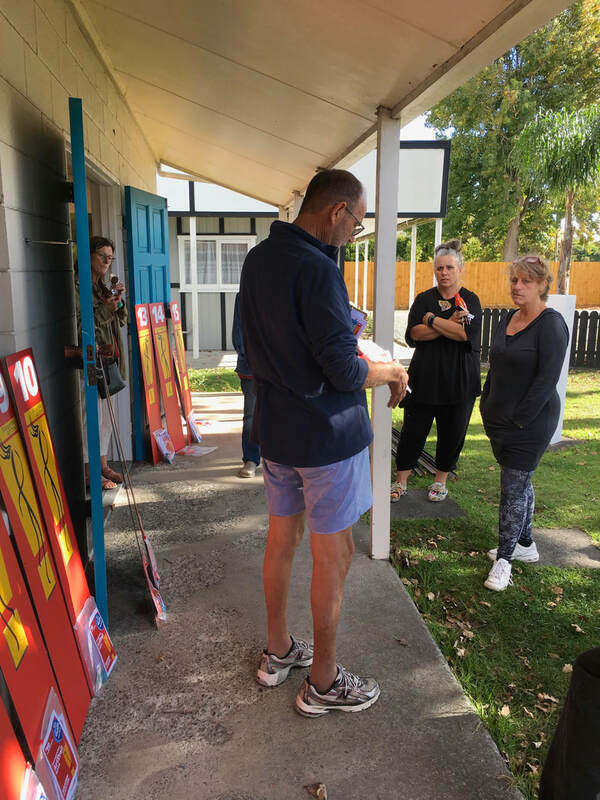 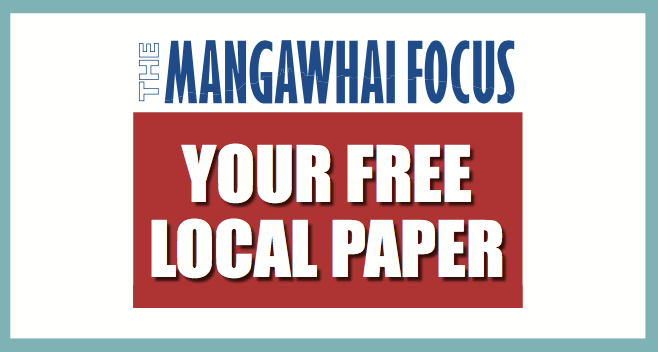 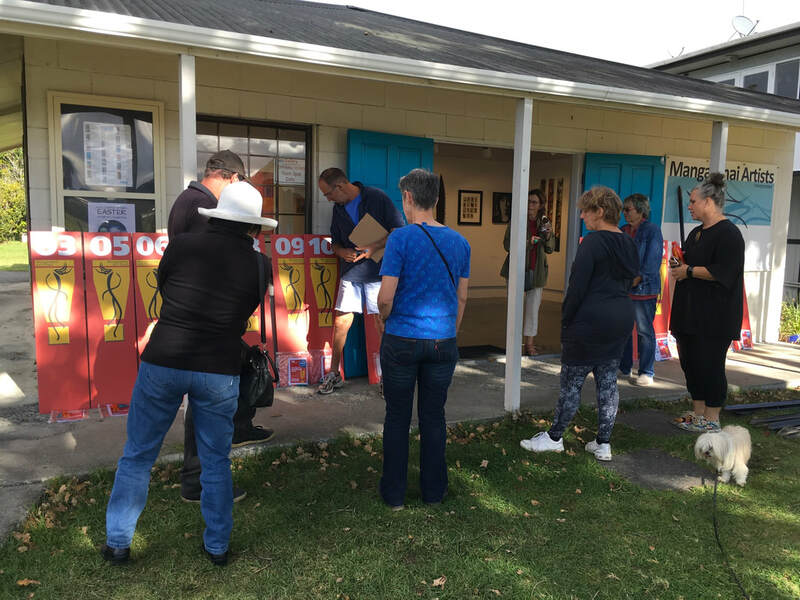 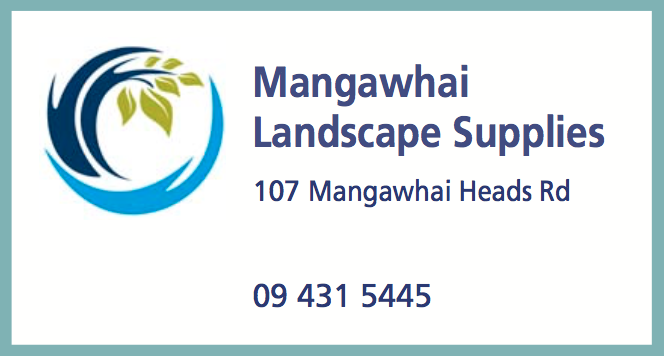 Artists participating in the Art Trail met at Mangawhai Artists Gallery to collect Art Trail signs and banners.